A newly discovered research paper from 1974 confirms what is going on behind the black trails we reported on in 2014. 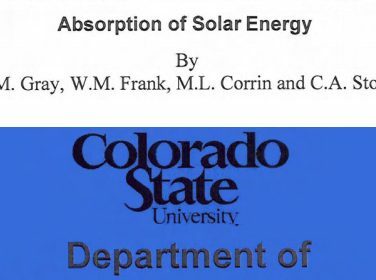 Weather Modification by Carbon Dust Absorption of Solar Energy not only explains the science in detail, but even states that this technology can be used to melt frozen landmass. We now have a complete picture backed up with solid evidence to show that the Arctic is being deliberate and systematically melted, probably for both political and commercial reasons.